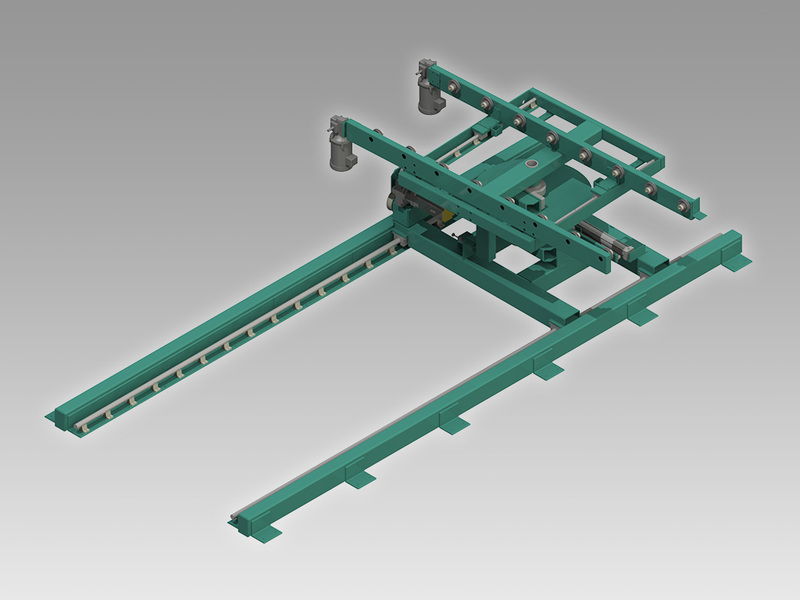 The AR-HQ rotate and transfer conveyor receives and correctly orients doors for delivery to two or three adjacent conveyors or frame assembly stations. The receiving stations are oriented surrounding this station at 90 degree intervals. The AR-HQ can receive doors with raised mouldings up to &frac58;” off the door face on the underside. Dual feed belts provide support along the stile area of the door face. The sending machine, typically a 994-X or Commander 3, communicates incoming door hand and width for automatic adjustment. A servo controlled motor centers the pivot point between the belts on the incoming door. A second servo controlled motor is used to rotate the table 90 degrees in either direction, or 180 degrees if required.